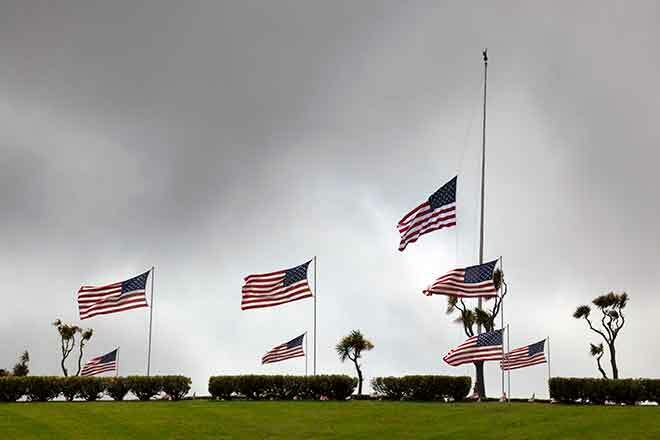 Colorado GovernorJohn Hickenlooper has ordered flags to be lowered to half-staff on all public buildings statewide Monday, May 28, in recognition of Memorial Day, and as proclaimed by President Donald J. Trump. Flags should be lowered from sunrise to noon. On Memorial Day, we pause in solemn gratitude to pay tribute to the brave patriots who laid down their lives defending peace and freedom while in military service to our great Nation. We set aside this day to honor their sacrifice and to remind all Americans of the tremendous price of our precious liberty. Throughout the history of our Republic, courageous Americans have purchased our cherished freedom with their lives. Our 151 national cemeteries serve as the final resting place for millions of people, including veterans from every war and conflict, many of whom died while serving our country. We remain duty bound to honor those who made the ultimate sacrifice on our behalf and to remember them with thankfulness and unwavering pride. The fallen -- our treasured loved ones, friends, neighbors, and fellow citizens -- deserve nothing less from a grateful Nation. We must safeguard the legacies of our service members so that our children and our grandchildren will understand the sacrifices of our Armed Forces. As a part of this effort, the Department of Veterans Affairs (VA) is working to keep the memories of our fallen heroes from ever fading away. The National Cemetery Administration's Veterans Legacy Program challenges our youth, from elementary school through college, to research and share the stories and sacrifice of their hometown veterans, who are forever honored at VA National, State, and tribal veterans cemeteries. To further ensure that our veterans' legacies are remembered and celebrated, this program is developing an online memorialization platform that will amplify the voices of families, survivors, and Gold Star parents and spouses as they honor our beloved veterans and fallen service members. Today, and every day, we revere those who have died in noble service to our country. I call upon all Americans to remember the selfless service members who have been laid to rest in flag-draped coffins and their families who have suffered the greatest loss. The sacrifices of our hallowed dead demand our Nation's highest honor and deepest gratitude. On this day, let us also unite in prayer for lasting peace in our troubled world so that future generations will enjoy the blessings of liberty and independence. In honor and recognition of all of our fallen heroes, the Congress, by a joint resolution approved May 11, 1950, as amended (36 U.S.C. 116), has requested the President issue a proclamation calling on the people of the United States to observe each Memorial Day as a day of prayer for permanent peace and designating a period on that day when the people of the United States might unite in prayer. The Congress, by Public Law 106-579, has also designated 3:00 p.m. local time on that day as a time for all Americans to observe, in their own way, the National Moment of Remembrance. NOW, THEREFORE, I, DONALD J. TRUMP, President of the United States of America, do hereby proclaim Memorial Day, May 28, 2018, as a day of prayer for permanent peace, and I designate the hour beginning in each locality at 11:00 a.m. of that day as a time when people might unite in prayer. I also request the Governors of the United States and its Territories, and the appropriate officials of all units of government, to direct the flag be flown at half-staff until noon on this Memorial Day on all buildings, grounds, and naval vessels throughout the United States and in all areas under its jurisdiction and control. I also request the people of the United States to display the flag at half-staff from their homes for the customary forenoon period. IN WITNESS WHEREOF, I have hereunto set my hand this twenty-fifth day of May, in the year of our Lord two thousand eighteen, and of the Independence of the United States of America the two hundred and forty-second.